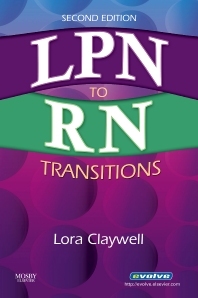 With all of the essential information you need to pursue your RN degree and practice as an RN, LPN to RN Transitions, 2nd Edition makes it easy to take the next step in your nursing career. This edition includes practical information on classroom study habits, professional writing, knowledge and skills acquisition, and more to help you succeed in everything from the classroom to clinical practice. Plus, seven new chapters provide the latest information for one complete, indispensable resource! Past, Present and Future: Assessing Your Accomplishments chapter introduces topics covered throughout the book. FYI boxes ensure you get the most from each chapter by highlighting important information. Exercises test your knowledge of each chapter’s content to help you learn and retain information. Critical Thinking Questions help you apply knowledge from the book to real-life situations and sharpen your critical thinking skills for clinical practice. 6. Basic Math Review: Preparing for Medication Calculations – NEW! 7. Writing Professionally – NEW! 10. Educational Pathways and Expanded Roles – NEW! 11. Nursing Theory: Guiding Professional Practice – NEW! 12. Understanding the Nursing Process – NEW! 15. Evidence-Based Practice – NEW! 22. Ethical and Legal Considerations – NEW!